Recently on the Cruise1st Australia news channel, we featured an article on five things to splurge on during a cruise. The guide included everything from alternative dining to opulent spa treatments, and encouraged the reader to approach their cruise with financial abandon — no matter what the cost. The truth is though, not everyone wants to spend hundreds of dollars when they’re on holiday, particularly when they’ve already forked out for an all-inclusive cruise. And why, when there’s so much to do on a cruise for free, should you have to spend more of your hard-earned money than you have to? So, in celebration of things complimentary and inclusive, here we look at 8 of the best free things to do on a cruise. We know we said you have to pay to eat in alternate dining venues, and that’s still true with most cruise lines, but not all. Travel with Royal Caribbean for instance, and you can escape the all-inclusive buffet hall and indulge in a delicious burger at Guy’s Burgers at no extra cost. Other cruise lines which offer free alternate dining options include Carnival Cruise Line and Crystal Cruises. As you’ll see from our guide to the best cruise lines for on board entertainment, on-board entertainment has got much better in recent years. Gone are the traditional ballroom dances and tacky shows in favour of fully immersive performances, all of which are available free of charge. Book a skydiving experience on dry land, and you’ll pay through the nose for the privilege. Try it at sea however, and you can take to the skies for free — well, sort of. A handful of Royal Caribbean ships now host the iFly vertical skydiving experience by RipCord, so you can make like a real skydiver for free — and all without the scary bit where you jump out of a moving plane. And that’s not the only exciting activity Royal Caribbean offer free of charge. Thanks to their incredible FlowRider surf simulators, which are now available on a number of ships in the RC fleet, passengers can find out how it feels to hang 10 without shelling out on expensive surfing lessons. Mini golf might not offer the wow factor of skydiving or surfing, but it’s a timeless classic that’s been keeping families content for decades. Available on quite literally every cruise ship currently afloat, mini golf is a great way to pass the time on the cheap. Aside from some luxury lines, most major cruise lines still charge for drinks — but all this could be about to change. From 2016, Norwegian Cruise Line will offer free drinks as part of its all-inclusive offering, something we’re sure could pave the way for other lines to follow suit. That means passengers will be able to enjoy any number of beers, wines and spirits completely free of charge during their sailing, though of course we’re not condoning heavy drinking. Swimming is one of the most popular pastimes on a cruise ship, yet people seem to underestimate the allure of a refreshing dip when listing things to do on a cruise. Most cruise ships are now equipped with some truly magnificent swimming facilities, giving you ample opportunity to relax and have fun, for free. Indeed, some ships even have waterslides, so you can enjoy a daily thrill on the cheap. We may have listed excursions as one of the things to splurge on during a cruise, but it is possible to enjoy time on dry land for free, or else for less money. Booking an excursion isn’t necessary, and you’re free to explore beyond the limits of the ship on you’re own when it comes to port. Sometimes going it alone offers a more authentic experience, and certainly a cheaper one. If you aren’t one for group activities, why not ditch the trips and explore the port destinations on your own two feet? Now that you know what to splurge on and what to do for free during a cruise, don’t you think it’s time you booked one? 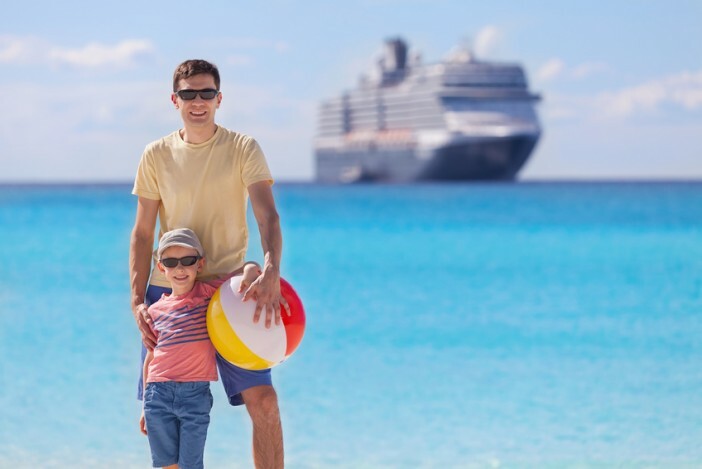 At Cruise1st Australia, we offer a range of affordable cruises that won’t break the bank, so you can afford to get away on the high seas for less. To browse our latest cruise deals, visit the Cruise1st Australia homepage or call us on 01300 857 345.